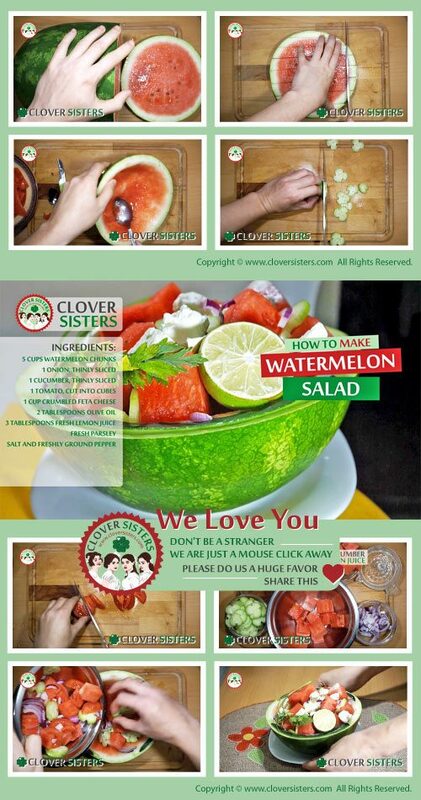 This easy watermelon summer salad is surprisingly delicious combination of savoury and refreshing at the same time. This healthy snack or a light meal is going to be a regular feature of your table. 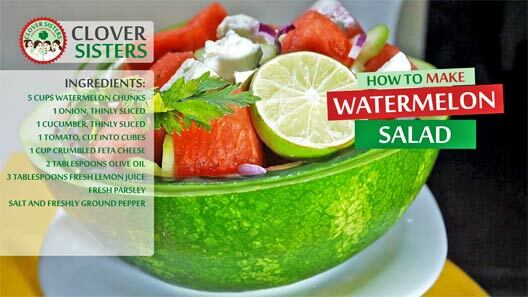 Gently combine watermelon, onion, cucumber and tomato in large bowl. Add extra-virgin olive oil and lemon juice, toss to coat. Sprinkle with the ground pepper, salt and feta cheese. Garnish with the parsley and serve.